The Reiman School of Finance at the University of Denver’s Daniels College of Business is helping finance professionals keep their finger on the pulse. Throughout the year, the School offers forums and workshops on new business models and trends and professional development for finance and strategy managers. On May 3, the Spring Finance Forum Breakfast will discuss FinTech, a new financial industry that applies technology to improve financial activities. FinTech firm representatives will share their insights on how FinTech will potentially change current and future business models. Learn more about the forum here. On May 8-10, Executive Education at the Daniels College of Business is hosting a Strategic Finance workshop on integrating financial analysis with the strategy and management of organizations. Reiman School of Finance Professors Ron Rizzuto and Randy Lewis, along with Executive Education, developed the curriculum. Find out more about Executive Education and how it is empowering leaders in business. Scott Reiman is an alumnus and longtime member of the University of Denver community and the namesake of the Reiman School of Finance. As CEO and founder of Hexagon, a Denver-based private investment company, he has a long and established history of business leadership in Colorado and fosters developing current and future business leaders. Scott Reiman and his firm Hexagon supports organizations that foster local business and emerging business leaders throughout Colorado. The Colorado Impact Fund (CIF) does just that, and more. The CIF is a Denver-based equity fund that supports Colorado companies that generate a positive impact – both on their communities and in consistent investment returns. The Fund invests in areas of community health, education and workforce development, natural resource conservation and economic development. It supports female and minority entrepreneurs and core industries in Colorado that hold exemplary best practices. Funded by Colorado investors, exclusively for Colorado companies, this private equity fund provides entrepreneurs with cost-efficient capital and a network of strategic business advisors. Since its inception in 2014, the fund has invested in 10 companies to develop and expand throughout Colorado. Together, these companies employ 648 individuals and have created 161 new jobs. Their business leadership is diverse with 50% having female founders and 20% having minority founders. These companies are also located in emerging communities where 70% are headquartered in low to middle income areas. From empowering teachers, administrators and school-community stakeholders to boost educational outcomes with Schoolrunner, to improving cost efficiency and patient satisfaction with the healthcare system through Cirrus MD, every organization in the CIF portfolio is able to leverage the capital provided by the Fund to ultimately give back and make an impact on their community and beyond. The Dumb Friends League hosted its annual Furry Scurry dog walk on Saturday May 5, at Denver’s Washington Park to raise money for homeless pets in our community. The Denver Dumb Friends League’s 24th Annual Furry Scurry was held on Saturday, May 5, 2018 at Washington Park. Photo by the Dumb Friends League. 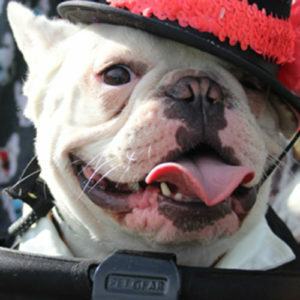 The event included a two-mile walk around Wash Park, followed by refreshments, food trucks, contests, dog demonstrations and more than 150 pet-related vendors and sponsors at the Flea-less Market. Each year, the Dumb Friends League helps care for more than 20,000 homeless pets. Money raised from the Furry Scurry aids in the League’s mission to end pet homelessness and animal suffering. This year, the event raised more than $875,000 and is still receiving donations, hoping to hit their $1 million goal. Funds raised at this event through registration fees and individual donations provide medical care to sick and injured animals, behavior training that allows pets to be adopted more quickly, investigations of animal neglect and mistreatment and more. As a longtime advocate for the humane treatment of animals, Scott Reiman served on the Denver Dumb Friends League board of directors for more than 10 years and continues to be actively involved with the organization. He has also supported a number of other important animal welfare programs and organizations, most notably the Colorado State University College of Veterinary Medicine. To learn more about the Furry Scurry and other ways to get involved, click here. Check out the video from that day below courtesy of the Denver Dumb Friends League. What a better place to celebrate your Sports Buddies than courtside. More than 55 matches of Bigs and Littles from Big Brothers Big Sisters of Colorado took part in a basketball skills event last month with two Denver Nuggets players in honor of National Mentoring Month. Nuggets shooting guard Malik Beasley and point guard Jamal Murray joined Nuggets Community Ambassadors and officers from the Denver Police Department in a basketball clinic at Moorhead Recreation Center in Aurora, CO. The event, sponsored by Western Union, gave the BBBS Sports Buddies the opportunity to perfect their dribble, three-pointer skills, hang out with professional players and much more. It gave them the opportunity to feel like All-Stars. Sports Buddies is one of the several mentoring programs offered by BBBS. Program activities are designed to strengthen mentoring relationships while instilling self-confidence, goal setting, collaboration, skill development and healthy lifestyles. The Sports Buddies Mentoring Program provides mentoring for kids often facing adversity. It also provides an opportunity for kids from low-income families to experience participatory and spectator sports. Many of them do not always have the chance to join sports teams or participate in the wide variety of athletics available to them through Sports Buddies. Scott Reiman spent several years acting as a mentor for kids through the Big Brothers Big Sisters program. He agrees that positive relationships with adult mentors can prove to be one of the most fundamental elements of success later in life. Video by Big Brothers Big Sisters of Colorado.